At Manikarnika Ghat funeral pyres burn solemnly in the evening light. This ghat is sacred in Hinduism, so sacred , in fact, that it is believed those cremated here receive Moksha. Moksha is release from the cycle of reincarnation. 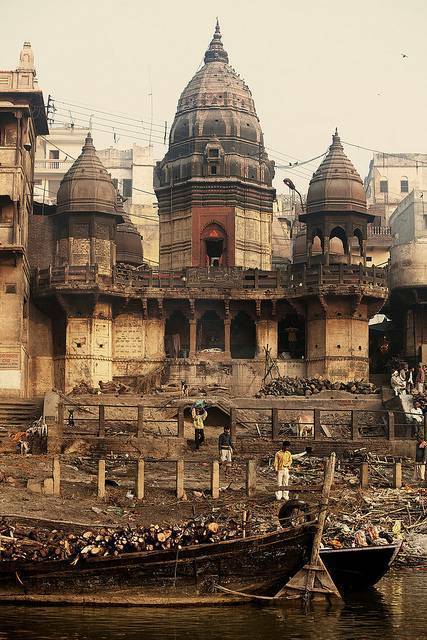 According to Hindu legend, the Manikarnika Ghat was built by Lord Vishnu.